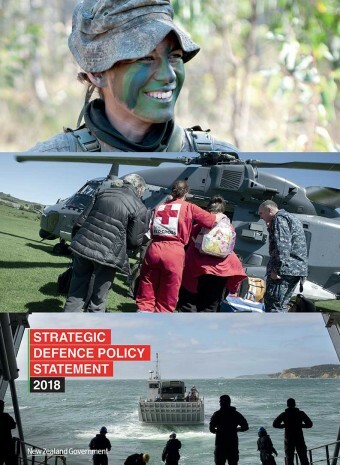 We are the Government’s lead civilian advisor on defence. 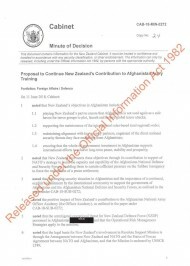 We also purchase major equipment which becomes a capability when it is used by service men and women of the New Zealand Defence Force. 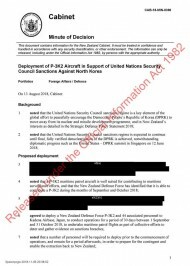 Ko mātou ngā kaitohutohu matua ki te kāwanatanga mo ngā kaupapa waonga. 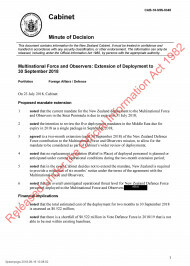 Nā mātou hoki, ngā taputapu nunui i hoko, hei āheitanga i roto i ngā ringa o ngā tāne me ngā wahine o Te Ope Kātua o Aotearoa. 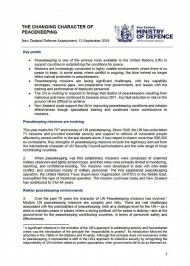 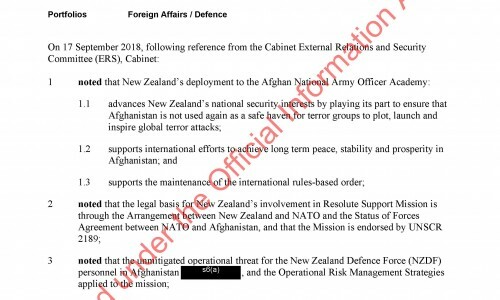 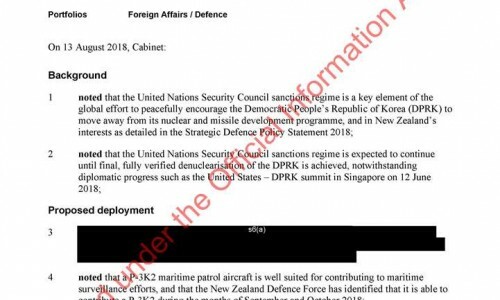 Cabinet documents have now been released that are associated with the Government's August 2018 decision to deploy a Royal New Zealand Air Force P-3K2 maritime patrol aircraft to support the implementation of United Nations Security Council resolutions imposing sanctions against North Korea. 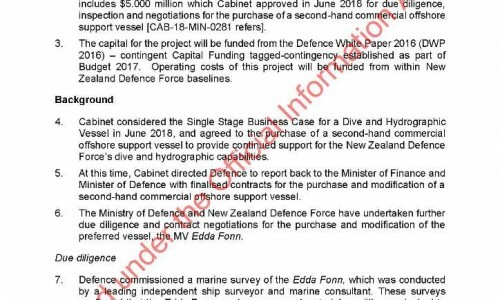 Documents have been published on Cabinet's June 2018 decision regarding the purchase of a Dive and Hydrographic Vessel. 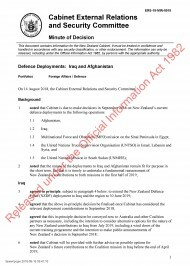 Documents have now been published regarding Cabinet's September 2018 decisions on five deployments.